Materials for 08.02.2019 » Developer Team :: Best choice for developers! 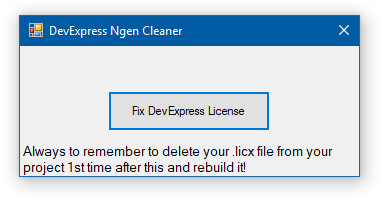 As it has been found out by value members of our community here, Ngen is running in the background in random times and messes up the DevExpress Assemblies so the Dimaster's crack for Visual Studio 2017 + DevExpress 18.2.5 (or newer) gets broken and the nag screen shows trial And not "registered". PhpStorm is a PHP IDE that actually ‘gets’ your code. It supports PHP 5.3/5.4/5.5/5.6/7.0/7.1/7.2, provides on-the-fly error prevention, best autocompletion & code refactoring, zero configuration debugging, and an extended HTML, CSS, and jаvascript editor.